Managerial Accounting, also called management or cost accounting, emphasizes on inside information received through financial accounting. Managerial accounting reports are used for planning, regulating, decision making, and measuring performance. These reports are continuously being generated throughout the accounting and bookkeeping period, according to requirements. Because many critical decisions depend on the authenticity of these reports, they should be carefully crafted by experts who are adept at bookkeeping. Managers then analyze these reports to highlight certain patterns and convert them into useful information for the company. Below is an explanation of certain such reports. Budget managerial accounting reports are very critical in measuring company performance and are generated as a whole for small businesses and, department wise, for large organizations. However, each company creates an overall budget to understand the grand scheme of their business. A budget estimate is made based on previous experiences, though, a great budget always caters for unforeseen circumstances that might arise. A company’s budget lists all sources of earnings and expenditures. A company tries to achieve its goals and mission while staying within the budgeted amount. 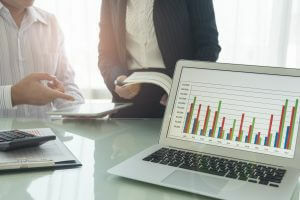 Managerial accounting reports related to budgeting can guide managers to offer better employee incentives, cut costs and renegotiate terms with vendors and suppliers. Therefore, a budget report is critical to any business. If your business relies heavily on extending credit, then account receivable aging reports are vital to it. Breaking down the remaining balances of your clients into specific time periods allows managers to identify the defaulters as well as find issues in the company collection process. In the case that there are many defaulters, then the company may need a complete transformation to tighter credit policies as cash flow is critical to the operation of any business. There is always some bad debt that needs to be written off, however, you cannot make it a habit. You must always know who owes you what. Managerial accounting computes the costs of articles that are manufactured. All raw material costs, overhead, labor and any added costs are taken into deliberation. The totals are divided by the amounts of products produced. A cost report offers a summary of all of this information. This report offers managers the capacity to realize the cost prices of items versus their selling prices. Profit margins are estimated and monitored through these reports as you have a clear picture of all of the costs that went into the production or procurement of the articles. Inventory waste, hourly labor costs, and overhead costs are also part of cost managerial accounting reports. They provide an exact understanding of all expenses, which is essential for better optimization of resources among all departments. Performance reports are created to review the performance of a company as a whole as well as for each employee at the end of a term. Departmental performance reports are also generated in large organizations. Managers use these performance reports to make key strategic decisions about the future of the organization. Individuals are often awarded for their commitment to the organization and under performers are laid off or dealt with as required. Performance-related managerial accounting reports also offer deep insight into the working of a company. If you think that you should be performing in a certain capacity but somehow that is not happening, these reports can point you towards flaws in the setup. The role of performance reports is vital for any company to keep an accurate measure of their strategy towards their mission. Order information reports, project reports, competitor’s analysis and many other similar reports are vital to every business. They are either generated internally or outsourced through professionals. The best course of action depends upon your capabilities to handle the reporting requirements of your firm. The ideal choice can differ for everyone but professional services do have the experience and skills to carry out this task better. In order to attain the most out of their decisions, your managers must have access to credible and authentic managerial accounting reports.